Leave a comment on THIS post by 6 p.m. CT Tuesday, March 15, 2016 to be entered in the DRAWING for a copy of the book below. If you mention in your comment that you’re a follower (see in the left sidebar “Join This Site” and “Follow by Email”), I'll add your name a second time in the drawing. U.S. mailing address required to receive a paper book. I may or may not have read books offered for giveaways. The mention and giveaway of books on my blog does not in any way indicate any manner of my endorsement of said books. Read book giveaway details at Disclaimers. To provide you security, please leave your email address like this: johnATyahooDOTcom. Winner announced in next Thursday's blog post. Tanya Eavenson enjoys spending time with her husband, and their three children. 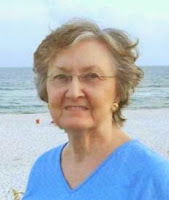 Her favorite pastime is grabbing a cup of coffee, eating chocolate, and reading a good book. Tanya is a member of American Christian Fiction Writers, Word Weavers International, and writes for Christ to the World Ministries. Welcome, Tanya. If you could have dinner with one person from today or history (except Jesus) who would it be? Why? It would have to be with author Lori Wick. I love the biblical aspects of her writing and how the characters feel like family. Years ago God was calling me to write, but it wasn’t until I read her series, “The English Garden Series” that I began to write. God used her in my life and I’d like to say thank you. I so enjoy writing the first draft of every story. It’s during that time my characters come alive. Please tell us a little about your novel, Restored. Where can readers purchase Restored? 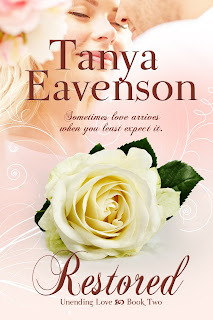 One commenter on this blog post will win an eBook copy of Restored, which Tanya has offered. 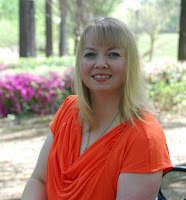 The winner of last Thursday’s blog post for a copy of Sweeter Than Honey by Kelly Irvin is Sally. I’ll email you. Thanks all for commenting. Watch for more book giveaways. Patricia, thanks for coming by and leaving your comment. So sweet, Pat! Thank you for reading Restored! And thank you for visiting! I enjoyed this interview with Tanya. I have just finished reading Unconditional and loved it. I would love to win a copy of Restored. Ann, glad you enjoyed the interview. Thanks for stopping by and leaving your comment. Ann, it was wonderful talking with you today! Thank you for blessing me with your visits and your review of Unconditional! I also can't wait for you to read Restored! Hopefully soon. I love giveaways. =) Have a lovely week! Tanya, I enjoyed learning more about you today :) Nice interview, Jo! With my TBR mountain about to topple over, let another viewer enjoy Tanya's wonderful read. Elaine, thank you. Glad you enjoyed the interview. Thanks for commenting. Elaine, Thanks for visiting, my friend! Have a great week! I love your blog! Tanya is a new writer to me and I'd love to read her book. Historical romance is one of my favorite kind of books so I look forward to Tanya's books. Sally, thanks, glad you love my blog. It's good to find a new-to-you writer. Thanks for commenting. So glad for your visit, Sally! Hope you enjoy Restored! Thank you for the giveaway, this sounds like my kind of book. Great to hear, Karen! =) Thank you for visiting with us! Hope you enjoy Steven and Elizabeth's story! Sounds like a good read. Would enjoy having it to read. Thanks for the giveaway. Dianne, you're welcome. Thanks for leaving your comment. So welcome, Dianne! It's wonderful meeting Jo's readers! Hope you have a wonderful Monday! This book sounds lovely. Keeping my fingers crossed!